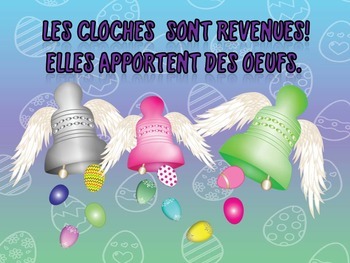 Powerpoint presentation depicting the Legend of the Flying Easter Bells in France. 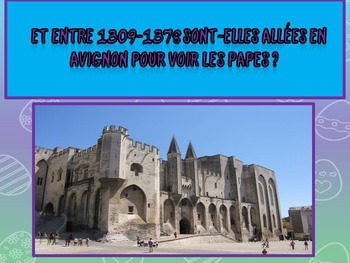 Created for a beginning level French class. This file is entirely in French. Please note that church bells will play automatically on slides 1-3 when viewed in powerpoint slide show mode. Sounds cannot be heard on PDF preview. Vocabulary words depicted in this file are: les cloches, le Pape, les jours de la semaine, le tombeau, sonner, église, Rome, le Vatican, Avignon, les oeufs, etc.